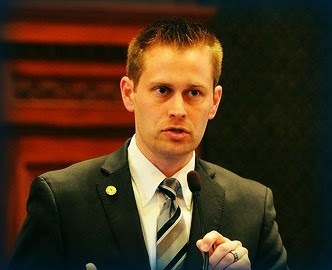 Domestic violence legislation sponsored by State Representative Joe Sosnowski (R-Rockford) to allow prosecutors to charge repeat domestic abusers with a higher-level felony was signed into law on Monday, August 18, 2014. House Bill 4653 provides that any prior convictions for domestic battery, or for any offense which is substantially similar, that occurs in another jurisdiction will trigger penalty enhancements. Activating higher felony penalties for those charged with domestic abuse will give prosecutors more tools to stop abuse, Sosnowski says. “These enhanced penalties seek to prevent domestic abusers who show a longstanding pattern of violence, despite the intervention of the criminal justice system, from potentially victimizing more people,” says Sosnowski. Read more.